As you know, next week is a big deal here in D.C., for me especially because I’m on the organizing committee for one of the inaugural balls, and will thus need to look my best for the big event. I’ve already got the gown, in a deep sapphire blue, and now I need the shoes. Please help. Manolo says, ayyyy! How exciting it is every four years at the Inauguration Day, when the entire city of Washington is transformed into the magical, make-believe fairyland of limousines and ball gowns, when every minor bureaucrat will be briefly made-over into the Cinderella and the Prince Charming. One minute you the Assistant to the Assistant Deputy Undersecretary of the Department of Homeland Phrenology, and the next you are Belle from the Beauty and the Beast, dancing the lively foxtrot with the man in the tuxedo who tomorrow will go back to being the person at the Internal Revenue Service who sets the depreciation schedule for the mechanized manure spreaders used by dairy farmers. Ayyy! It is so romantic! Of the course, this quadrennial day of celebration will be especially festive because the President was reelected, which means that at the stroke of midnight on January 22nd, none of the political appointees will be looking for new job! Here is the strappy sandal with the pebbled leather finish from the Jimmy Choo, the perfect shoes for the celebratory festivities of democracy. On the day after Christmas, my husband and I are going to Argentina for two weeks of tourism and fun. We want to go out dancing at night in Buenos Aires, but I’m worried because the Argentine women are so glamorous. Can you help me glam it up. Manolo says, ayyy! How exciting to be going to the Manolo’s beloved Buenos Aires in the early summer! Of the course, there will be no reason to worry about being insufficiently glamorous, as on the day after the Navidad, all of the most glamorous people of Argentina go to the Uruguay, to the place called Punte del Este, where they put on the tiny little bathing suits and strut around on the white sand beaches, and that is just the men! Still, even though the high society leaves for elsewhere, there will more than enough places left in the city to dance away the night The Manolo strongly recommends the Bar Million, the combination art gallery-restaurant-bar -dance club in the opulent fin de’siècle French-style townhome in the center of the city as being the place to have the great deal of glamorous fun. For the maximum effect the Manolo recommends the Ivette snake-print leather sandals from the Jimmy Choo 2013 Resort Collection as being the super fantastic shoe that will make the Argentine ricos goggle at your utter glamorosity. My fifteenth high school reunion is only five weeks away, which gives me just enough time to totally make myself over. Or, maybe not. I’m thinking that instead of doing all that work, I should just get some really great shoes. Please advise. Manolo says, ayyyy! The Manolo likes the way you are thinking. Obviously, you are the long time reader of the Manolo. Normally, the most common thing to do when the Day of Labor arrives, and the high school reunion season approaches, is to start the lemon-water-cabbage-soup-watermelon starvation diet. Followed closely by calls to the beautician, the aesthetician, the dietician, and the botox doctor. One needs to do these things so as to overcome the trauma of the high school by showing up of the mean cheerleader girls who dated the quarterbacks and ruled the lunchroom from their Mordor-like table in the center. But, unless you have magically become Cindy Crawford in the years intervening since graduation, this sort of thing rarely works. You are still you, and they are still them, just older, perhaps wiser, and maybe more centered and contented, and the world spins on, your high school days ever receding into the distant past. Better, says the Manolo, to fix yourself up within reason, put on the beautiful shoes and enjoy the evening. You will be surprised and delighted by what has happed to many of your classmates. Look! Stunningly beautiful shoes! The Lancer crystal-embellished suede sandals from Jimmy Choo! Manolo says, it is Monday and you are back at your desk, regretting that you agreed to go to lunch with your office mate Nina. The problem with the Nina, and what makes her your mortal frenemy, is not that she is the bad person, but rather that she is both the devoted long-distance runner and the vegan, things about which she never stops talking. What this means in the practical terms is that your lunch will begin with the self-righteous commentary on the menu choices at the TGI Fridays, followed shortly by the lengthy negotiations with the waitress over the order. After the food is ordered (and your waitress has silently resolved to spit in Nina’s iced tea) you will be treated to the blow-by-the-blow description of how Nina began the morning at 5:30AM with the eight mile run, which is part of her training regime for the series of ultra marathons. Afterwards, Nina will treat you to the brief disquisition on the topic “Sugar Equals Murder”. Ugh. Just thinking about what awaits you at the lunch time makes you depressed. You know what is needed now to cheer you up? Cinnabon! and Shoes! here is the Maury Velvet and Metallic Sandals from the Jimmy Choo, not only beautiful, but also very low in calories! In September, I’m hitting a milestone, the Five Oh. In honor of this auspicious event, I’ve been on a program of making myself over. I’ve lost weight, read some classic books I’d been putting off, grown my hair longer, and invested in a new, more elegant wardrobe. Now, I need some shoes to show off the new me. Please suggest something wonderful, something that works with black silk for my big night of celebration. Manolo says, this is the best sort of midlife crisis, the one in which the person works diligently to improve herself physically and mentally. How often do we hear about the lady of the certain age who, determined to grasp one last time at the thorn bush of super sexiness, has spent her efforts on six-inch stripper heels, hootchie mama booty shorts, and Dr. Roberto Rey’s Patented Plastic F-cup Bosoms. Manolo says, booty shorts do not light the path to personal enlightenment. Look! Here is the Logan D’Orsay Glitter Pump from Jimmy Choo, perfect for your non-drunken evening of celebration! Manolo says, it is Monday, and you are back at your desk, and frankly, “discontent” does not even begin to describe it. You had such the nice weekend. The neighbors at the end of the bloc, Bob and Karen, came over for the cookout on Saturday evening. They are so nice, and the weather was perfect. You had some little canapé things from Trader Joe’s, gin and tonics, potato salad, and Gary made the best St. Louis style ribs on the grill. Best of all, for whatever reason, the normally ravenous mosquitoes of late June, which usually come down like the wolves upon the fold, largely left you alone. And the whole time, you thought to yourself: this is what life is really about, warm weather, convivial conversation, good food, fine drinks, and few invasive pests. What more do we really need? And now, today, you had to go back to the corporate salt mine; loading your 16 tons of data into the computer on your desk, and what do you get? If the dramatic Callie T-Strap Sandal from the Jimmy Choo cannot take your mind off of your first-world problems, nothing can. Manolo says, it is Monday, and you are back at your desk, where you have realized that your life is too complicated and hectic. It is always with the running, to the store, to the dry cleaners, to the PTO meetings, to the church, to the entertainment venues, to the this and to the that. Running, running, running, complicated, complex, running. Oh, to have live the simple life of relaxation and quietude. But, such is the fate of those who choose to live in the modern world. The various news of the weekend is worthy of celebration, and what better way to do so than with the stunningly beautiful Jimmy Choo suede and crystal strappy sandals? Perfect for dancing the night away! Here in D.C., the past month has been one round of blizzard after the next, and frankly, I’m sick and tired of winter. Can you recommend something beautiful to cheer me up? Manolo says, remember all the way back to the last winter, when we had the so-called Snowpocalypse Blizzard of 2010, which paralyzed the Mid-Atlantic region with thirty-feet of drifting snow and temperatures in the mid-to-low minus 80s? That was just the playful little amuse-bouche for this winter, which has turned out to be the multi-course succession of blizzards, like the crazy Thanksgiving entré, the buffhogoatpeaturducken, which is the quail stuffed inside the chicken, stuffed inside the duck, stuffed inside the turkey, stuffed inside the peacock, stuffed inside the goat, stuffed inside the wild boar, stuffed inside the water buffalo which is then roasted over the roaring garbage fire, which you have started in the courtyard of your apartment building because the power has failed yet again. And from the looks of things, Old Man Winter has decided to (Bam!) kick it up the notch by wrapping the water buffalo into the carcass of the wooly mammoth, which thanks to the New Ice Age, can now be taken by skillful hunters in Dupont Circle. Here is the Opulence Caged Sandal from Jimmy Choo! So delicate, so beautiful, so spring like. And, look, they cost less than the tusks you have just harvested! Manolo says, it is Monday, and you are back at your desk thinking that now is the winter of your discontent, not made glorious summer by these Jets of York, and all the clouds are lour’d upon your house. But then that is what you get for being the fan of professional football…the months’ long build up of excitement and hopefulness, ended by the bitter disappointment of being tossed from the playoffs just before the Bowl of Superness. 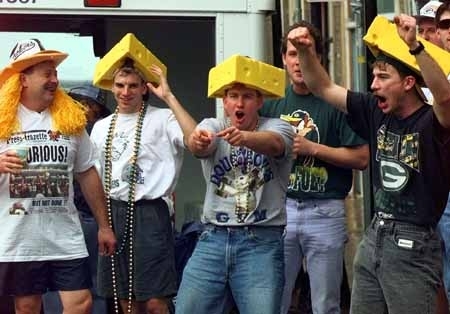 Unless, of the course, it is your team that has won, in which case, it is exaltation and joy and wedges of plastic cheese to wear upon your thick noggin, or perhaps the tacky towel of terribleness to frantically wave as if you were signaling the rescue plane. But, no, your team is not to be counted among the potential champions this season, meaning that this day, today, not last Monday, is indisputably the saddest day of the year. The Jimmy Choo Cutout Suede Ankle Boot, the sort of boot that could make the person forget all about the stout men in tight pants who play silly games with prolate spheroids.